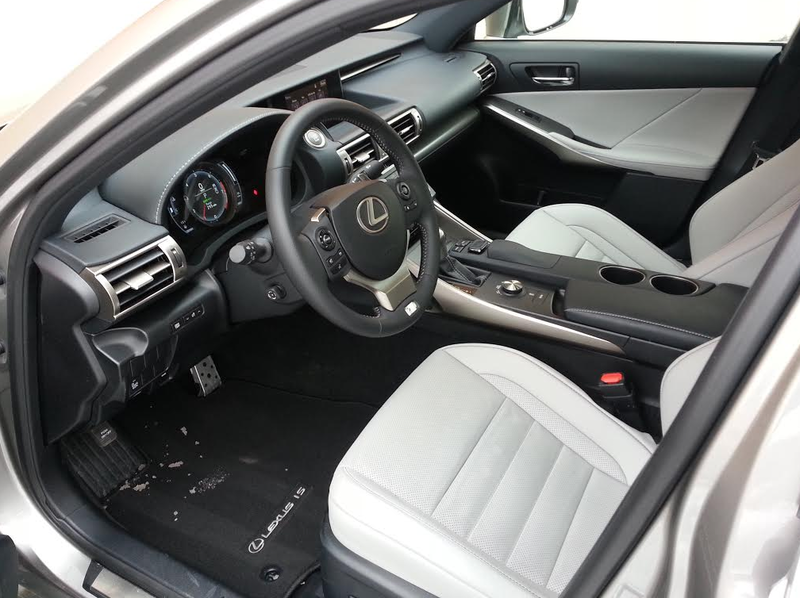 Consumer Guide’s test Lexus IS 350 arrived in F Sport trim. Including destination charge, our test car came to $48,830. Everybody talks about the weather, begins an old saying, but nobody does anything about it. That was pretty much the feeling this driver had with the keys to a 2015 Lexus IS 350 F Sport in hand, and winter—real winter—deciding to pay its first call of the new year. The F Sport package includes a unique grille treatment, LED headlamps, and special F Sport wheels. I’d like to be able to describe how the 306-horsepower 3.5-liter V6 engine performed with lusty stabs at the throttle or how the steering and handling changed when “Sport” mode was activated in the Drive Mode Select system but no can do. A combination of rear-wheel drive, optional summer tires, a couple of inches of snow, and several really c-c-cold days ruled that out. Plan B became keeping this sport sedan’s sport from being the one-man luge. The IS cabin looks tidy and feels upscale, though it lacks small-item storage. At least that happened. With “Snow” mode selected and a lighter-than-lead foot applied to the accelerator most of the time over 3 days, yours truly managed to cheat the elements. (Note to Lexus engineers: The traction-control warning light works great. A lot.) For the sake of reference, on day 3, when the local surface streets appeared to be mostly clear of all hints of slop, I switched off Snow mode and stayed in “Normal” drive. Perhaps the fact that it was a couple of degrees below zero at the time had something to do with it, but nearly every standing start along the route between home and the expressway, cautious as it might have been, was accompanied by enough slip to trigger the traction control. Lighter-than-usual traffic volume on the expressways during my turn in the car actually allowed for some good stretches of open cruising, for which the IS 350’s dohc V6 had plenty of power. Rear-drive 350s come with a smooth 8-speed automatic transmission (all other IS sedans have 6 speeds), and this powerteam delivered 18.41 mpg after a trip of 160.2 miles, 51 percent of which came under what could be termed city conditions. That’s not great even for a car with modest EPA estimates of 19 mpg city/28 mpg highway/22 mpg combined, but the frequent fights for grip certainly didn’t do it any favors in the fuel-economy department. The IS boasts better-than-class-average trunk space. 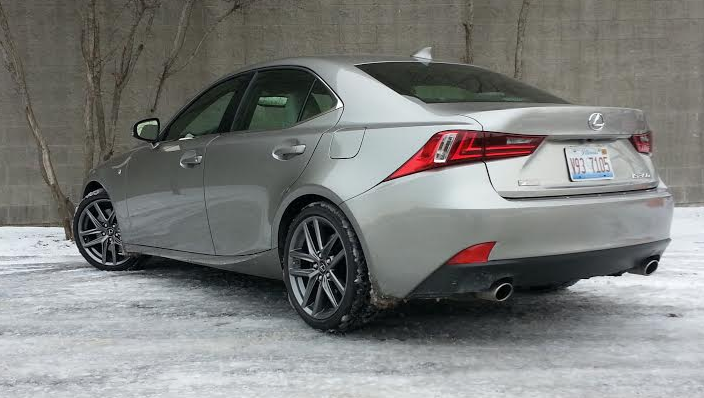 Cold, hard cash in the amount of $40,065 is what it takes to secure a 2015 IS 350 rear-drive sedan, but ours was optioned up to $48,830 with delivery. The extras included the F Sport package, a $3740 group that includes a distinct grille and front-bumper design, LED headlamps, staggered-width summer tires, split 5-spoke 18-inch alloy wheels, a thin-film-transistor (TFT) instrument cluster, heated and ventilated front sport seats, perforated-leather steering-wheel and shift-lever coverings, aluminum pedals, and an adaptive suspension. Other less-costly add-ons consisted of a blind-spot monitor with rear cross-traffic alert; variable-gear-ratio power steering; and a navigation/stereo-upgrade package that also features a back-up camera, the mouselike console-mounted Remote Touch Interface (RTI) controller, voice control, and an infotainment-system app suite. 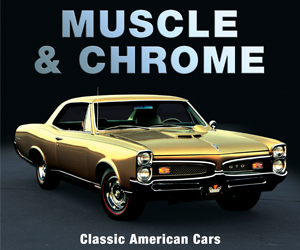 All this augmented standard touches like dual chrome exhaust outlets, power moonroof, Enform emergency-notification system, and Bluetooth connectivity. ISes can be a little tight when sliding behind the wheel. (The power-adjustable steering wheel could use a little more upward travel.) Head and leg room are OK in front, but skimpier in back. Rear entry and exit takes some doing if you’re an adult. The huge driveline hump effectively makes this a 4-passenger car. The backs of the front seats are deeply sculpted to give rear passengers as much knee room as possible—and they’ll need every inch. The leather sport seats are comfy and appropriately bolstered for a car with sporting aspirations. The cabin is quiet and well put together, with some contrasting metal highlights here and there for tonal variety. However, there is some plain black plastic on view in the forward part of console. Control buttons for climate and audio settings are within easy reach of those who want to avoid using the RTI mouse whenever possible. The TFT display is legible and organized for easy recognition. Interior storage spaces seem to be scaled down to match the interior. There are small pockets in the front doors and a small covered space under the narrow console arm rest. Cup holders reside far back on the console because they have to make room up front for the RTI controller. The glove box is merely adequate. There are no pockets in the rear doors, but there are pouches on the backs of the front seats. Rear cup holders pop out of pull-down center arm rest. 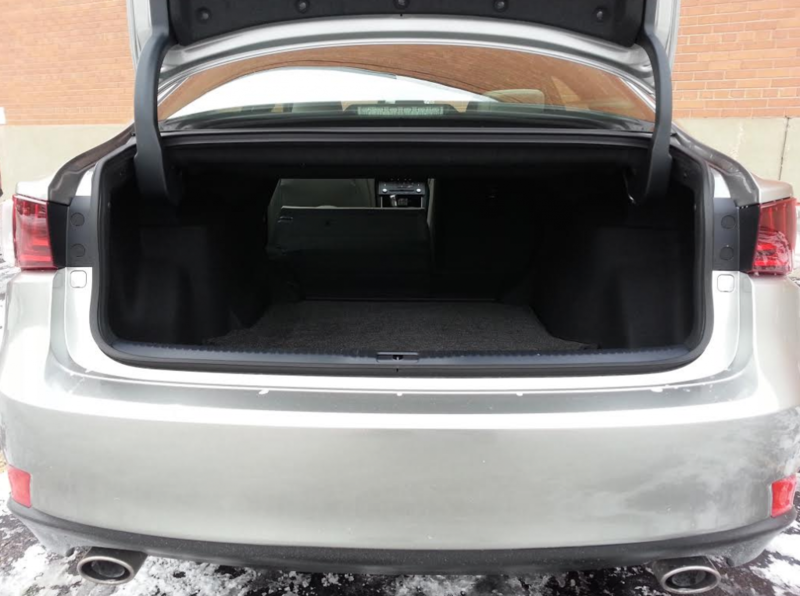 Trunk space is good for this size of car, and it’s easy to access through the low, wide opening. Rear seats fold in a 60/40 split for additional cargo space. However, while they fold practically flat, they do so at a point considerably higher than the trunk floor. 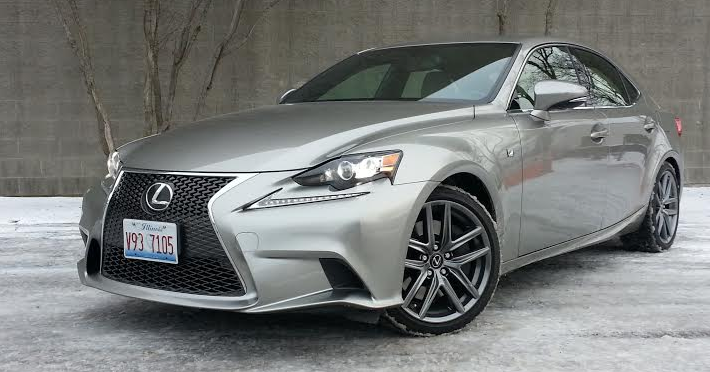 Perhaps the Lexus IS 350 F Sport is a tiger on the highway, but it’s no lion in winter. It wouldn’t be the first car to have that problem. Say, did I ever tell you young ’uns the story of the Mitsubishi 3000GT VR4 and the winter of ’97? It all started one snowy Friday in January. . .
My brief stint in the IS F Sport came after John’s snow-plagued turn. On dry pavement the IS is a delight to drive, with plenty of useful power, quick handling, and a sporty yet sophisticated exhaust note that comes alive when the car is driven vigorously. Snow Belters intent on checking the F Sport box on the option list will want to consider also purchasing a set of winter tires for their rides, a fairly common thing to do around these parts. Note: All-season tires are available as a no-cost options on both rear- and all-wheel-drive IS F Sport variants. 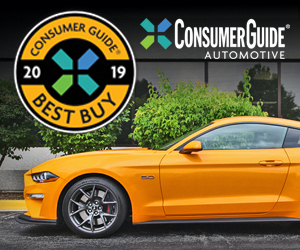 Written by: The Daily Drive staff on February 24, 2015.on February 19, 2019.